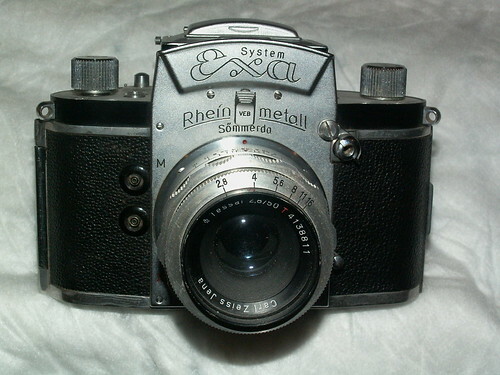 The Exa Rheinmetall is a version of the Exa 35 mm SLR camera. It was manufactured by VEB Rheinmetall in Sömmerda, Thuringia, in 1956 due to lack of capacity at Ihagee in Dresden. It is recognised by the front plate inscription including System Exa and Rheinmetall Sömmerda. VEB is engraved on the finder release button. Otherwise it is an ordinary Exa.